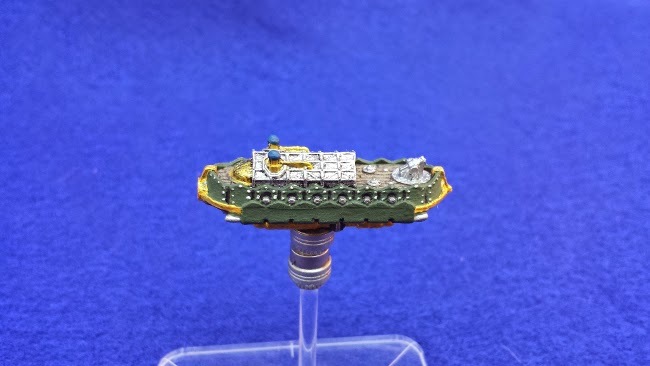 The Ottoman Empire Mizrak Class Frigate from Spartan Games Dystopian Wars is one of the few hovering frigates in the game. Using powerful fans, the Mizrak Class Frigate floats on a cushion of air, letting it travel on land or sea. 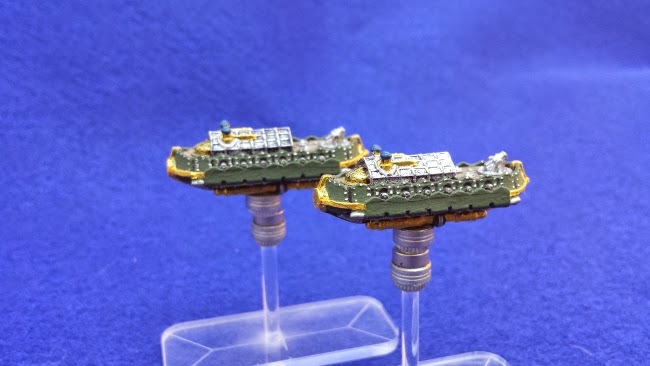 Each frigate is armed with a fore volley gun, and port and starboard broadsides, giving them solid fire power, at least within the front 270 degree arc. 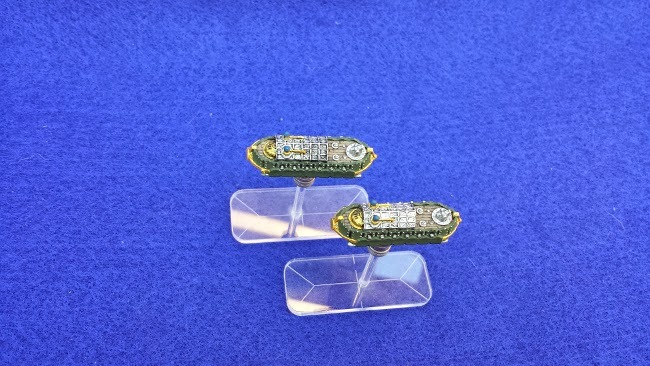 They can also be used as escorts for larger vessels, making them an essential defensive component of any ottoman Fleet.